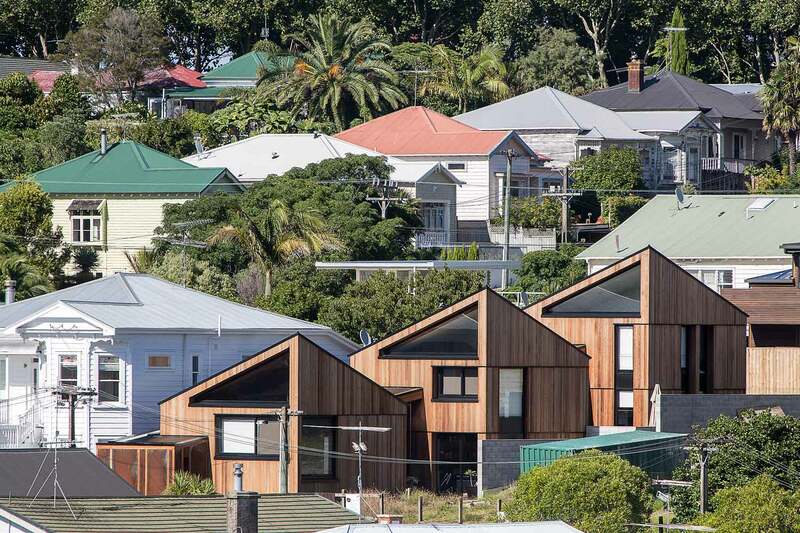 As part of our suburban housing series, we look at the single house selecting three examples that do things a little differently. These range from the E-Type House by RTA Studio that is cut open with courtyards to a small-but-perfectly-formed 50-square metre home. And, finally, a pair of townhouses that accommodate three generations of one family. The typical house in Grey Lynn is a square villa or bungalow close to the street with a deep backyard. The E-Type house, in contrast, stretches along one boundary to orient rooms to the sun. The floor plan is the shape of a capital E and gradually steps up the sloping site. Rooms open onto courtyards to maximise the daily use and appreciation of the full site. The roof forms echo the lines of neighbouring houses, so that, despite its different plan-type and materials, the E-Type works respectfully with the existing character. Photo: Patrick Reynolds. 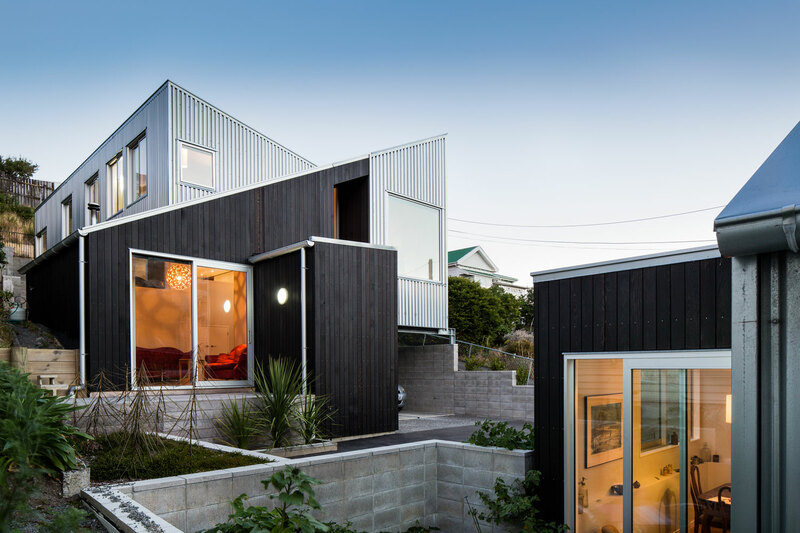 Following his experiences living in Japan and in several central Wellington apartments, architect Andrew Simpson went small and compact for his own home in Island Bay. He and his partner Krysty had no desire to build more than they needed or more than they could afford. Their 50-square- metre house perches on a ridgeline of bush, maximising the valley view and north-western sun. For a couple, the open two-storey volume makes the small plan area feel expansive and generous. Photo: Paul McCredie. This steep, narrow site was developed for twin townhouses: a four-bedroom family home and a smaller house for a grandparent. 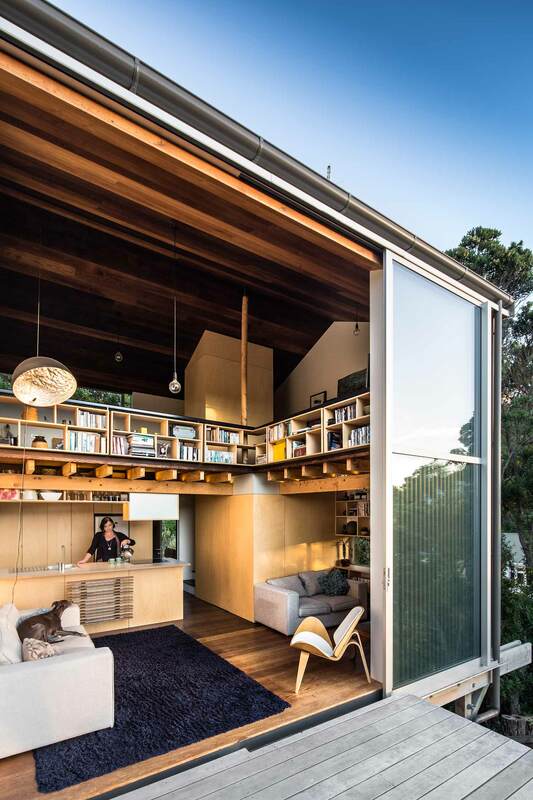 Common materials and construction techniques have kept the square metre rate down, but a dynamic exterior and interior composition creates delightful and connected living spaces. The energy-efficient homes hug the southern boundary with clerestory roofs to catch the sun and views as they step up the hill. The tilting roofs also lend generosity and complexity to relatively modest-sized rooms. Photo: Paul McCredie.